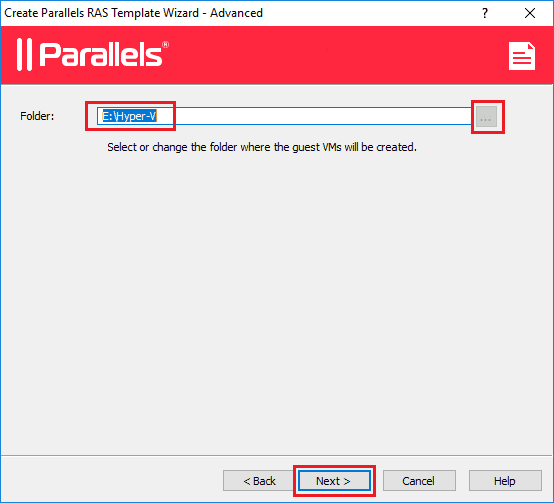 Parallels RAS can automatically generate and deploy two types of templates on demand using configurable RAS Templates: one for VDI desktops and another one for RD session hosts. This allows administrators to create and deploy guest virtual machines on the fly, saving a great deal of time. 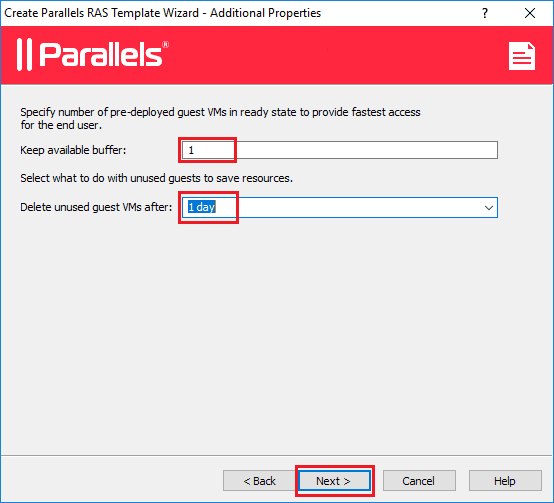 Follow these steps to deploy a RAS Template using Parallels RAS. First, open the Parallels RAS Console and click on the Farm category on the left-hand side of the console. 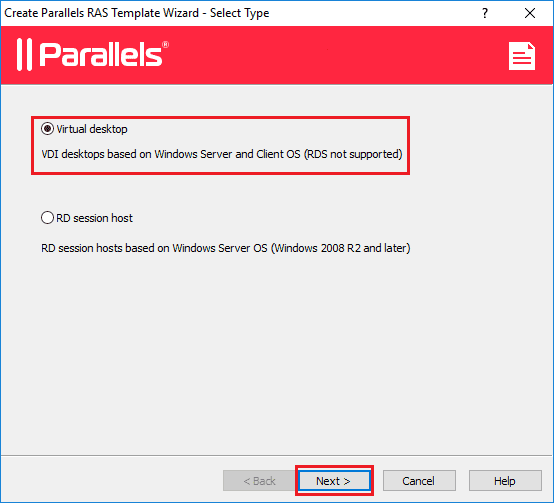 Then navigate to VDI > RAS Templates. Click on the top right-hand side “+” button and select the Virtual Guest you would like to use. Click the “OK” button. For this tutorial we will use a Windows Server 2016 Datacenter Edition hosted on Microsoft Hyper-V.
Next, select the RD session host option and click “Next >”. 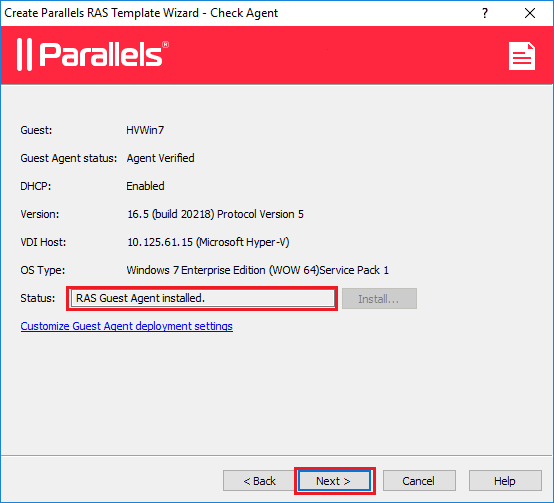 The Parallels RAS Console will check the Guest Agent settings to verify they are installed. If the RDSH and RAS Guest Agents roles are installed, click “Next >”; otherwise click “Install…” to continue. 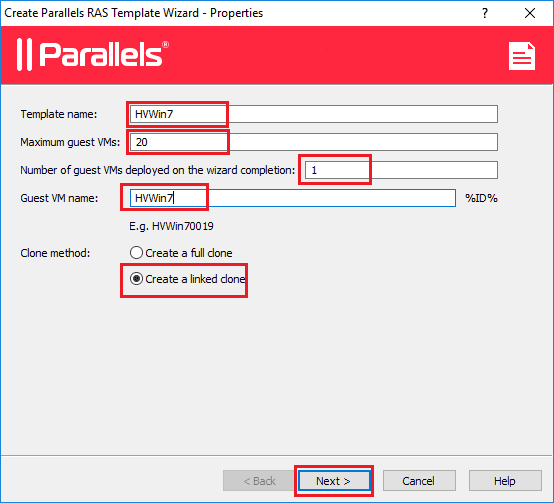 Enter all the properties for the RAS Template Wizard. The clone method chosen for this scenario is the “linked clone” option. Once you have filled in all of the properties, click “Next >” . Next, we need to choose how many RD session hosts we want to always have available and when to delete unused guest VMs if needed. Click “Next >” to continue. Choose the folder where the guests will be created. You can click on the “…” button on the right-hand side for a more visual representation. Once you have selected the folder, click “Next >” to continue. For this scenario, we will be using RASprep, which is a lighter version of Microsoft Sysprep. Enter all the required details for the preparation of the guest. 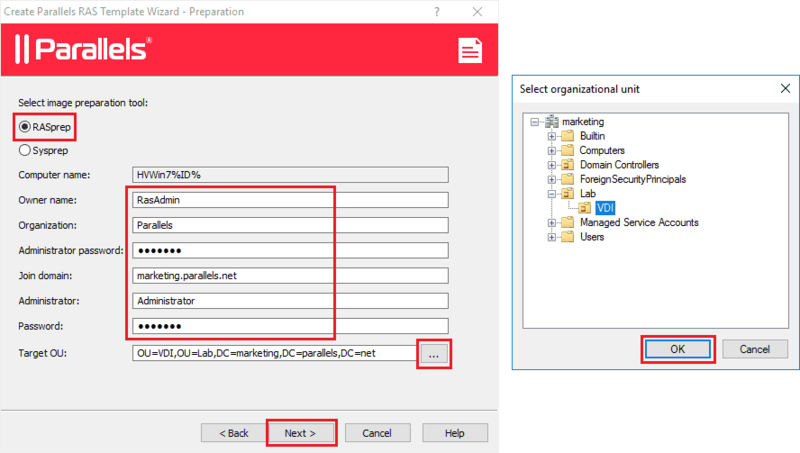 Also select the Target Organizational Unit by clicking on the “…” button. Once you have inputed all of the information, click “Next >”. 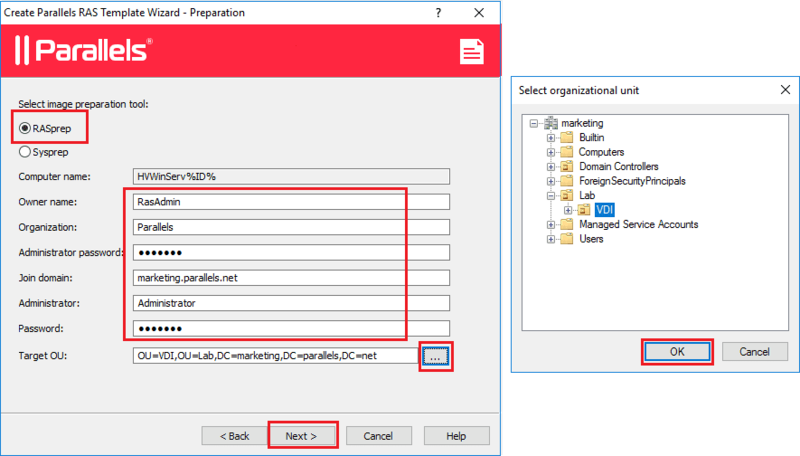 Now select the License Key Management type you would like to use. 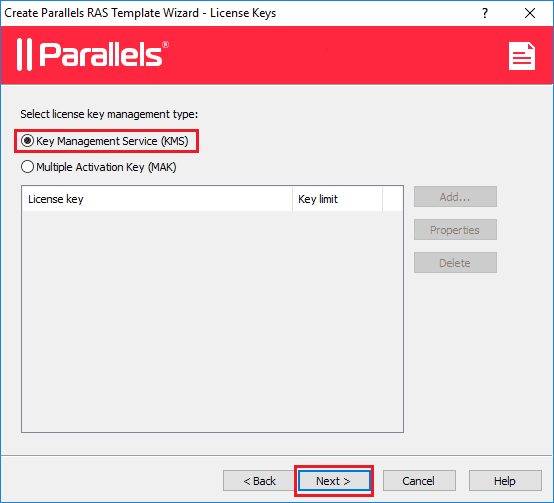 We will be using Key Management Service (KMS) in this guide. Click “Next >” to continue. Finally, an overview of all of the settings and configurations set throughout this wizard will be shown. 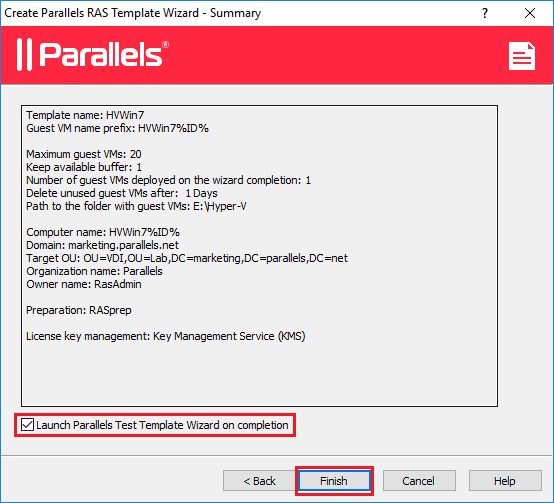 You can select “Launch Parallels Test Template Wizard” to launch upon completion. 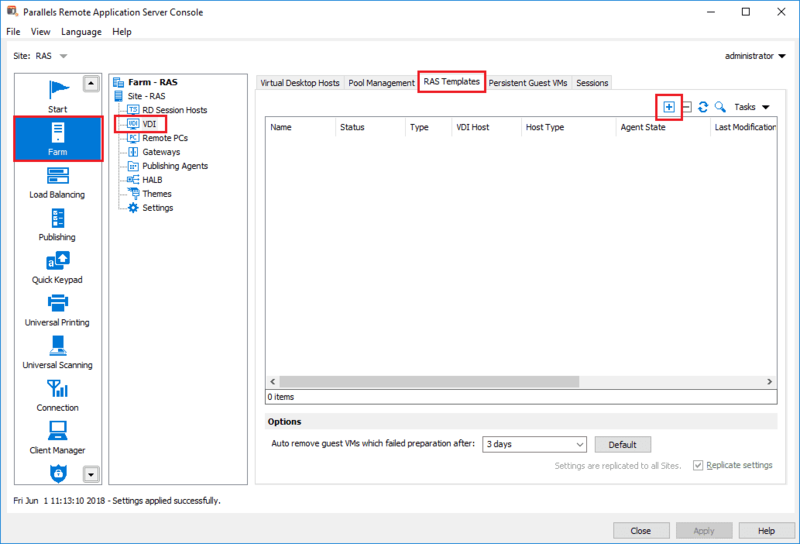 This wizard automates VM testing and VM deployment to ensure the template works smoothly. Once the Parallels RAS Test Template Wizard is complete, the new RAS Template will be shown under the RAS Templates tab in the VDI section of the Farm category. You can now right-click on the template to see the options available. 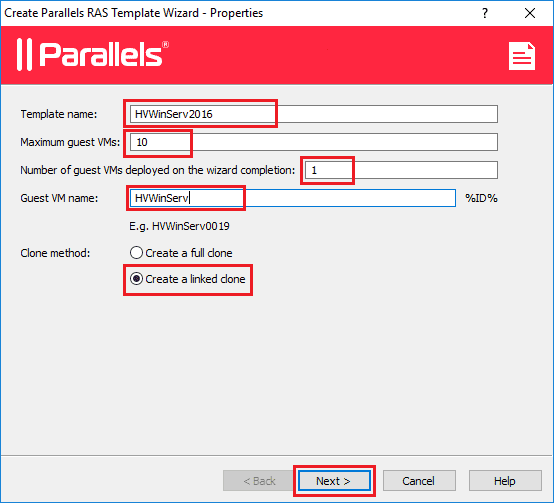 Congratulations, you have successfully created a RAS Template for RD Session Hosts! 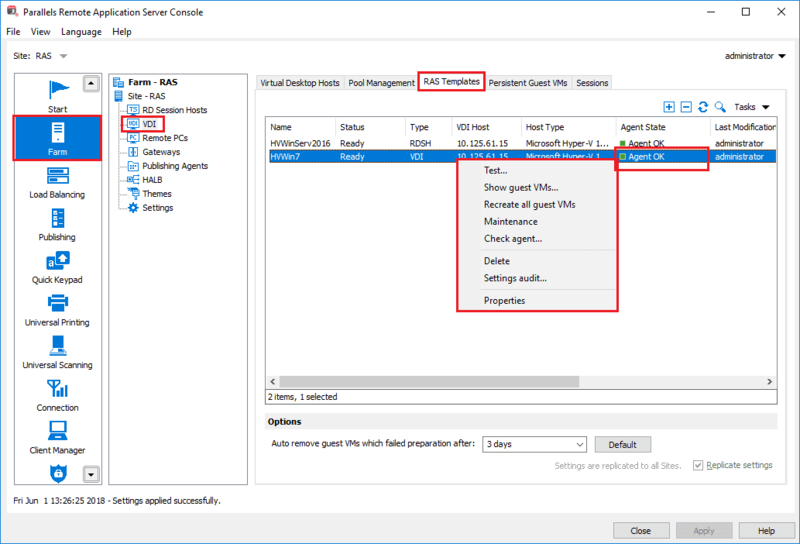 For this tutorial, we will use a Windows Server 2016 Datacenter Edition hosted on Microsoft Hyper-V.
Next, select the Virtual desktop option and click “Next >”. The Parallels RAS Console will check the Guest Agent settings to verify they are installed. 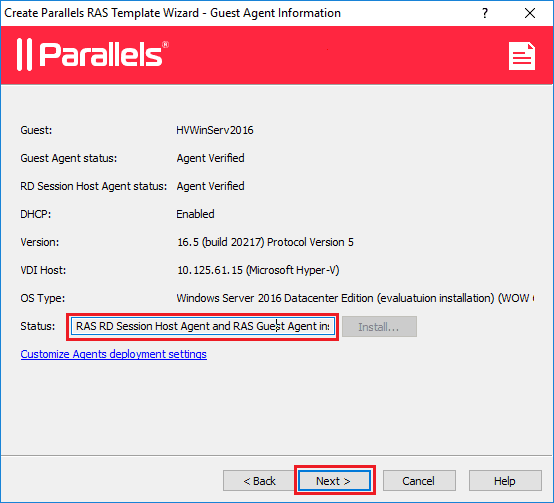 If the RAS Guest Agents role is installed, click “Next >”; otherwise click “Install…” to continue. Enter all the properties for the RAS Template Wizard. The clone method chosen for this scenario is the “linked clone” option. Once you have filled in all of the properties, click “Next >”. 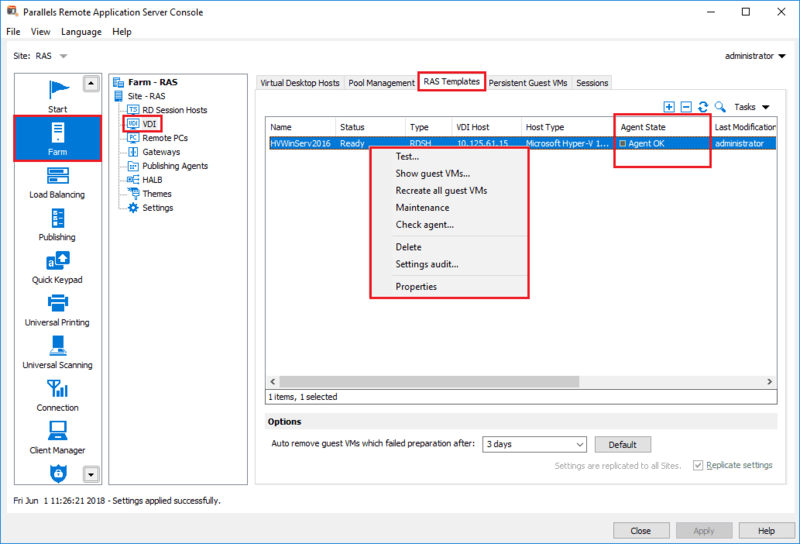 Next, we need to choose how many VDI desktops we want to always have available and when to delete unused guest VMs if needed. Click “Next >” to continue. For this scenario, we will be using RASprep, which is a lighter version of Microsoft Sysprep. Enter all the required details for the preparation of the guest. Also select the Target Organizational Unit by clicking on the “…” button. Once you have inserted all of the information, click “Next >”. 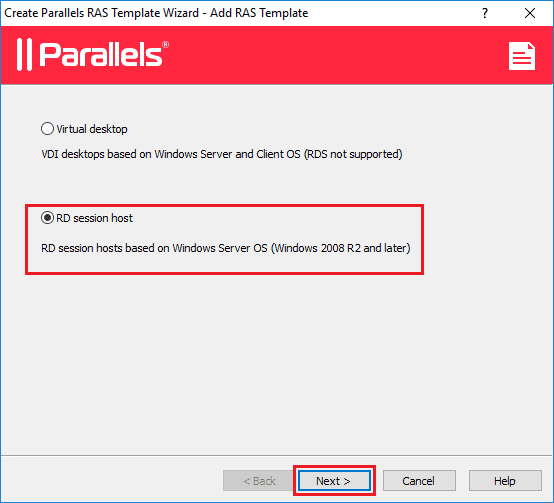 Congratulations, you have successfully created a RAS Template for VDI desktops!